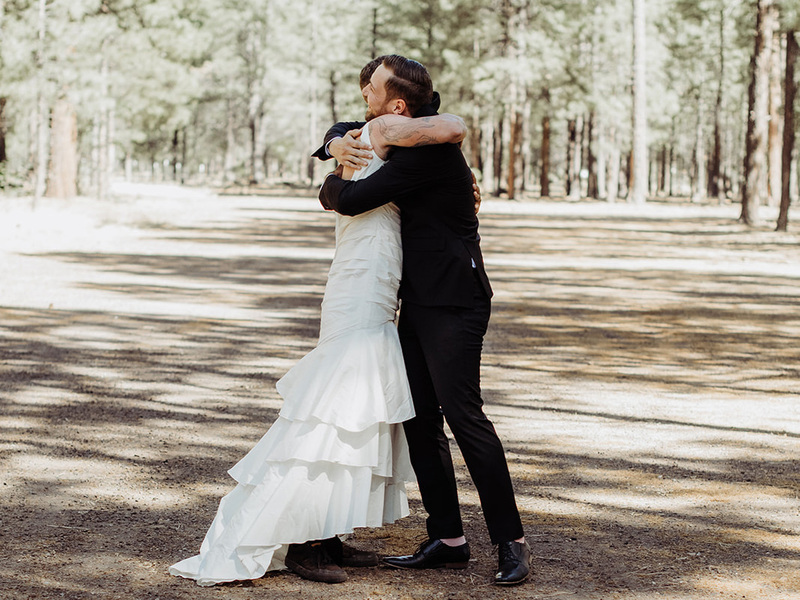 In 2013, Heidi Zherelyev and her husband, Val, married in a private California ceremony–a sentimental moment that was only shared between the spouses. 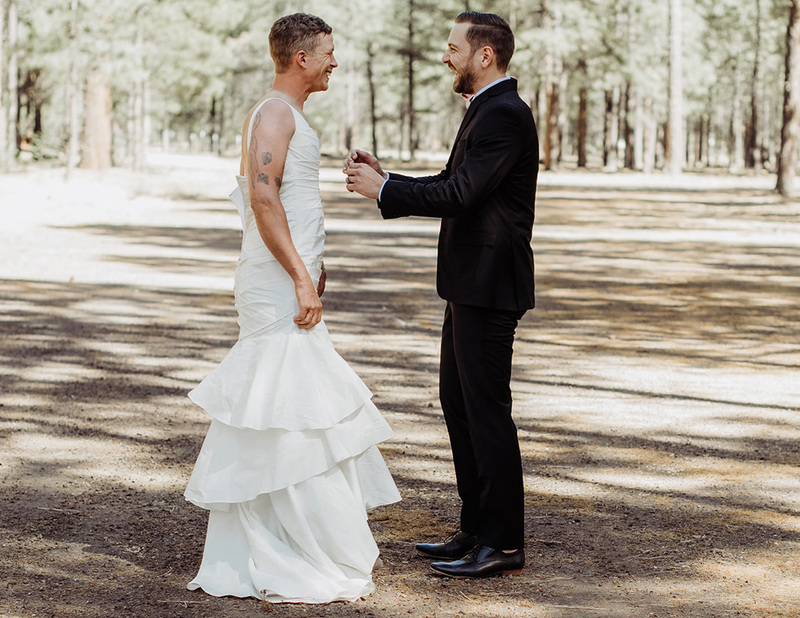 At the time, the intimate ceremony was a sweet commitment between the young pair, who’ve since endured several deployments and a move back to their native Phoenix, Arizona. 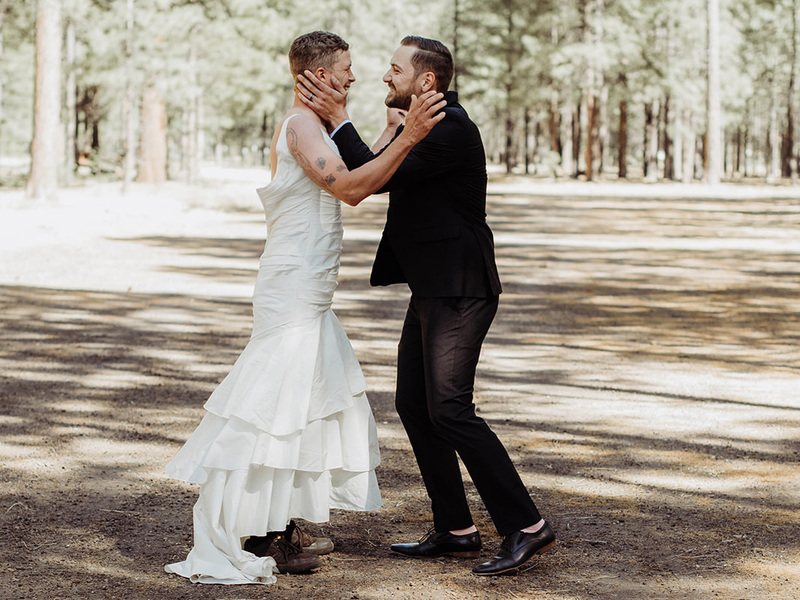 The pair always knew they wanted to share their story by hosting an actual wedding back home with beloved family members and friends, and that day ultimately arrived in late June at the Gathering Place, a venue nestled along the White Mountains of Arizona. 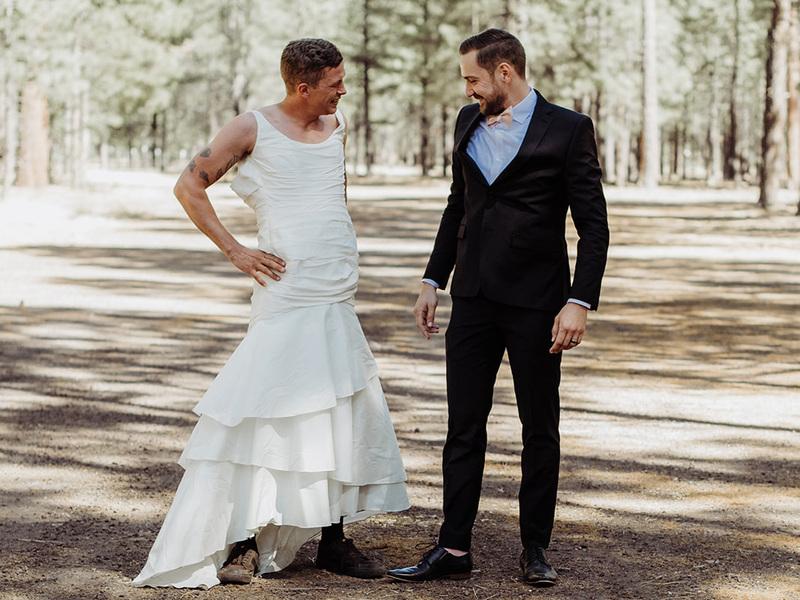 The couple’s wedding day, or specifically their first look session, has since gone viral—due to one particular twist on tradition. 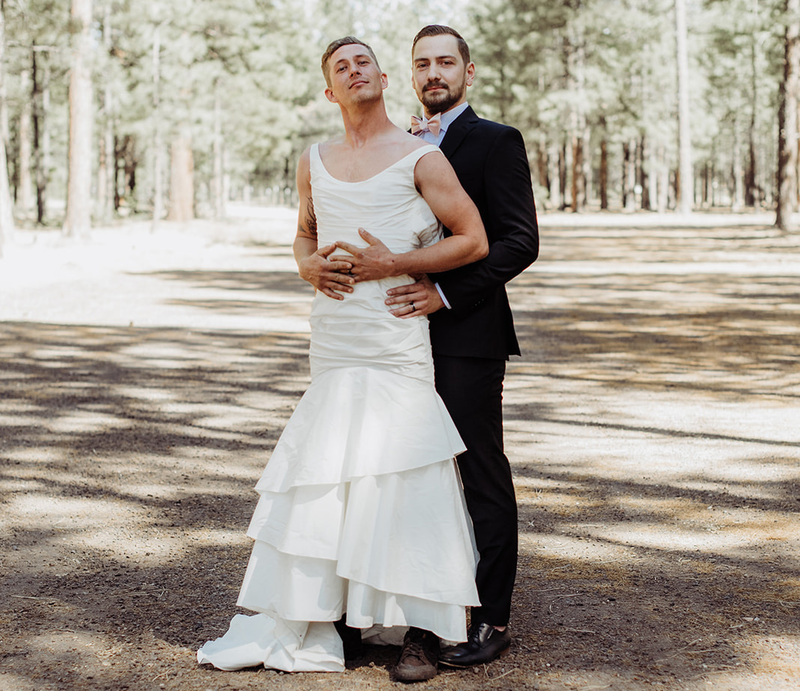 On the day of the wedding, the bride noticed that her husband was a bundle of nerves. The photographer, family friend Nichole Cline, observed it too. 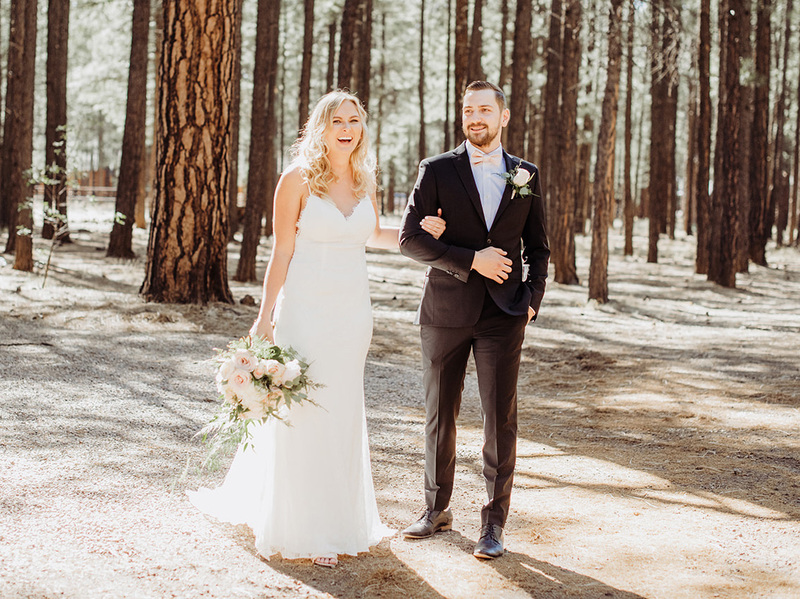 “He was super jittery and super nervous,” Cline of KevinChole Photography tells The Knot in an interview. So the bride came up with a master plan to delight her husband to alleviate the pressure. 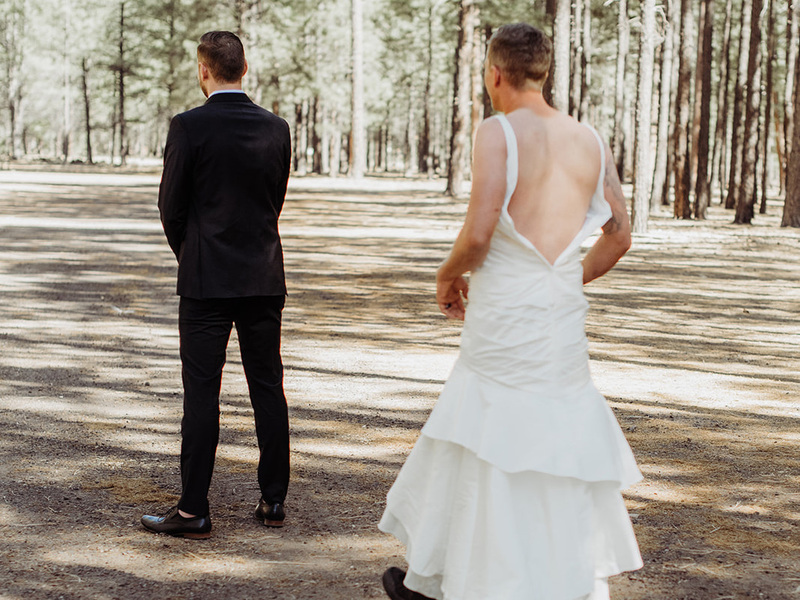 Rather than the bride walking out in her wedding dress to surprise the groom from behind, the brother of the bride—clad in another bridesmaid’s old wedding gown—tapped Val on the shoulder instead. The result was sheer delight. It’s especially meaningful for Cline to document moments between family members after she lost her own father 14 years ago. “I have combined my name together with my dad’s name, Kevin, so my photography business is called KevinChole Photography,” she says. 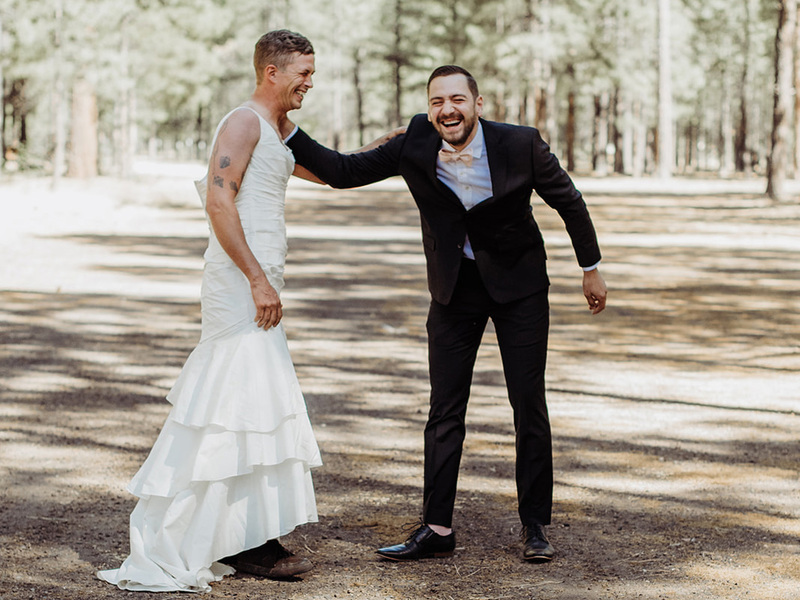 Be the first to comment on "Bride Sends Her Brother Out in a Wedding Dress for the First Look: See the Groom’s Reaction"